Increasing traffic & visitor engagement through improved user experience. 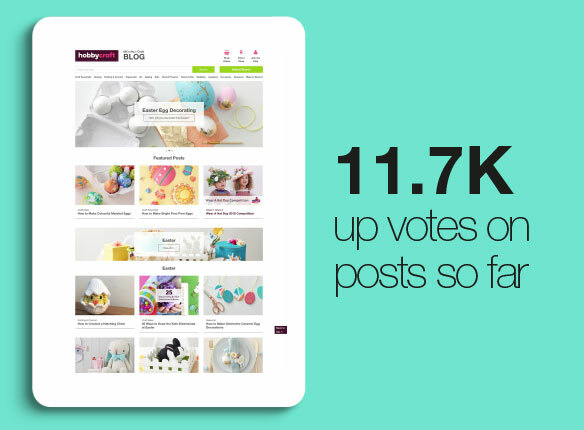 Well-known for having the UK’s Number One craft blog used by families and dedicated crafters alike, Hobbycraft came to Halo for a creative update to their already popular blog platform. They wanted to activate stronger brand activation to build long term loyalty and value-creating relationships with customers. Their goal was simple, increase visitors, increase engagement and increase referrals from the blog to their main website while delivering an eye-catching and easy to use experience.Well-known for having the UK’s Number One craft blog used by families and dedicated crafters alike, Hobbycraft came to Halo for a creative update to their already popular blog platform. They wanted to activate stronger brand activation to build long term loyalty and value-creating relationships with customers. Their goal was simple, increase visitors, increase engagement and increase referrals from the blog to their main website while delivering an eye-catching and easy to use experience. 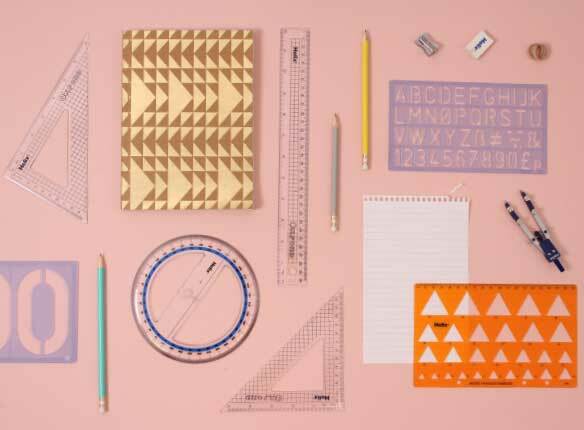 Visit the Hobbycraft Blog today and find your inspiration! Finally we added ‘Shop the project’ functionality to allow customers to quickly buy all the materials they needed to make what was being talked about. 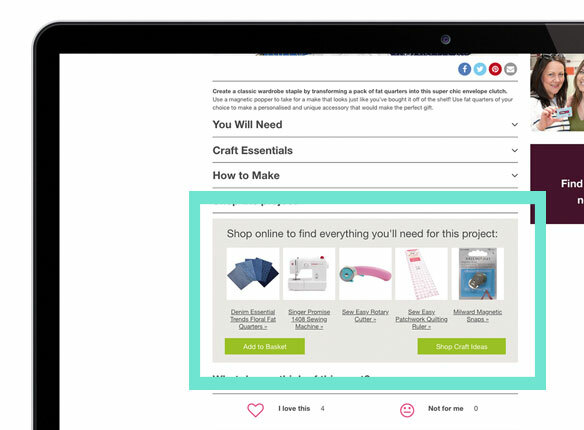 This linked directly to the main Hobbycraft ecommerce site and instantly adds all the products to the basket creating a seamless purchasing journey. Utilising their existing WordPress blog as a starting point, we improved the categorisation across the site, introduced an extensive mega menu and improved the search functionality making it easier than ever to find the inspiration you’re looking for and shop directly from the blog. 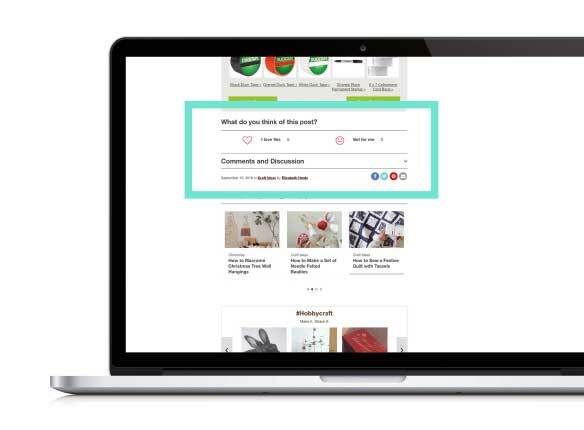 We added a rating system on articles to allow readers to view what’s trending and what’s popular, making the content they are looking for more relevant. This also allows Hobbycraft to see what people are really interested in reading and create more of that content helping to deliver a more engaging and relevant experience.